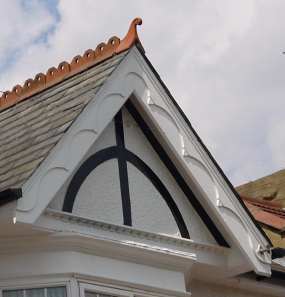 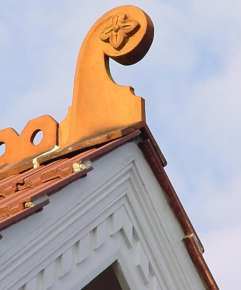 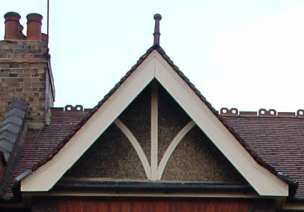 Roofs with a gable often have a 'bargeboard'; this wooden panel of a gable end usually has some decorative carving but can be plain. 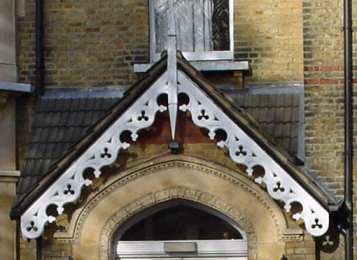 As with most details, more modest houses have plain gables, with the most pattern in the middle Victorian decades. 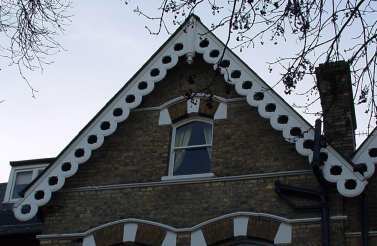 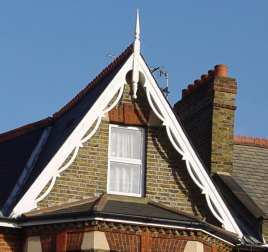 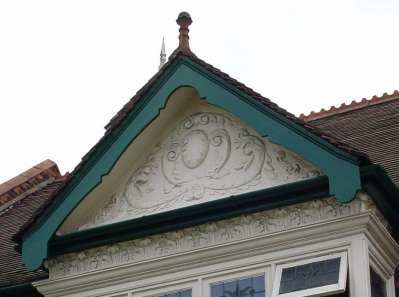 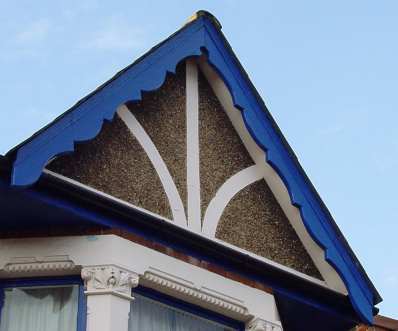 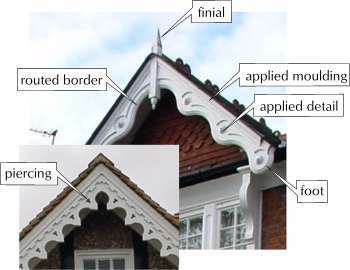 Edwardian bargeboards tend to be fairly simple in design.